[prMac.com] Lenexa, Kansas - BKeeney Software Inc. launches BKS Report Studio, a simple database reporting tool that features a visual interface, templates, and editing features that allow users to create reports without writing SQL. 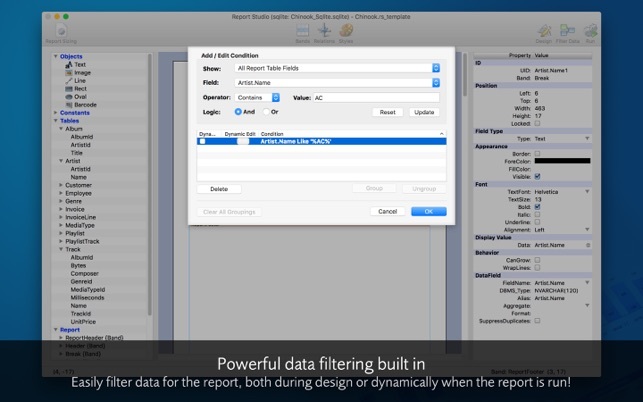 Designed for every skill level, BKS Report Studio operates like a layout editor by allowing users to drag and drop data sources, labels, images, and even barcodes to build powerful reports, quickly. 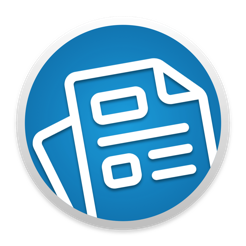 Reports can be printed directly, or can be exported in several file formats. Created by a need to simplify and extend the database reporting process, BKS Report Studio focuses on making the report design phase easier. Connect to the most popular database engines, or connect to any database engine that provides an ODBC driver. BKS Report Studio supports these database engines: CubeSQL, MySQL, ODBC, PostgreSQL, and SQLite. BKS Report Studio 1.0.1 is available now for Mac and Windows. Download it from the website for free today. BKS Report Studio 1.0.1 is also available worldwide through the Mac App Store in the Business category. Demo reports will be watermarked. Purchase a license for $175 (USD) to permanently remove the watermark and unlock the export-to-file functions. BKeeney Software is software consulting firm specializing in cross-platform, web, and mobile applications, developer tools, and training using the Xojo development platform. Copyright (C) 2018 BKeeney Software Inc. All Rights Reserved. Apple, the Apple logo and macOS are registered trademarks of Apple Inc. in the U.S. and/or other countries. Other trademarks and registered trademarks may be the property of their respective owners.